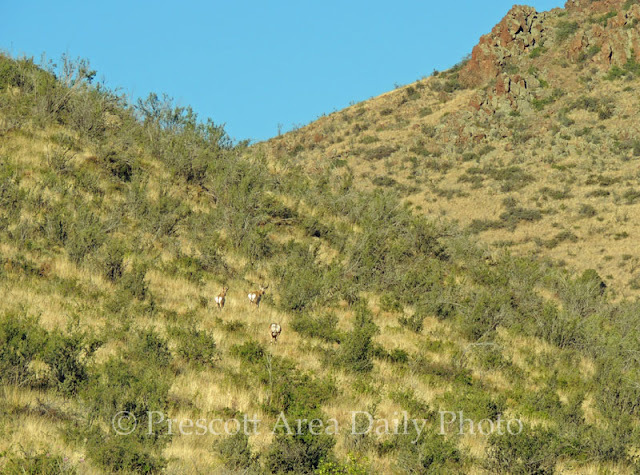 I saw these deer along the Glassford Hill trail. They saw me too. There were some of pronghorn off in the distance. They saw me too. More from the top tomorrow. 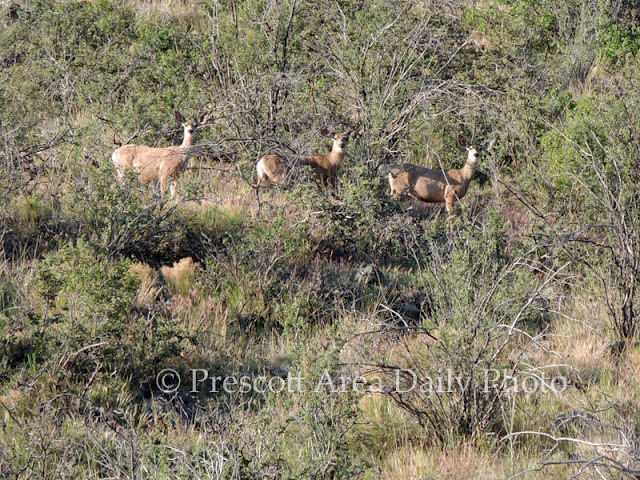 In the 2nd shot it appears the deer are leaving you quickly! Are those mule deer in the first shot? You are so fortunate to have that trail! These animals really do blend in well to their environment. They stopped to say "hello" to you, and by extension to us, too.